Reviewed, the high speed compact from Sony, the RX100 Mark IV features a bright lens, a large high speed sensor, plus 4K and high speed video recording. The Sony Cyber-shot RX100 IV is this years update to the RX100 Mark III, and features the World’s First Stacked 1.0inch BSI CMOS sensor with a DRAM memory chip, which allows 40x Super Slow Motion Capture, 4K Video Shooting, High-speed Anti-Distortion Shutter, high speed shooting and more. 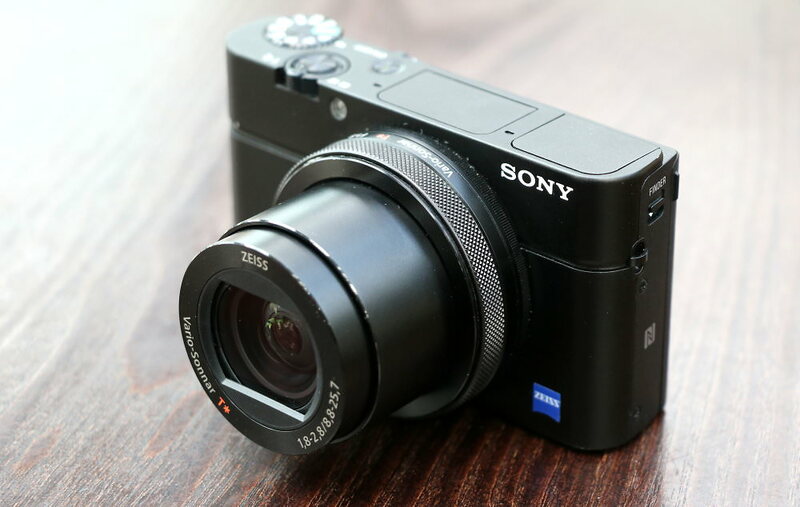 The RX100 IV features a built-in pop-up electronic viewfinder with an increased resolution of 2.36million dots, and the same 24-70mm equivalent lens as the Mark III. 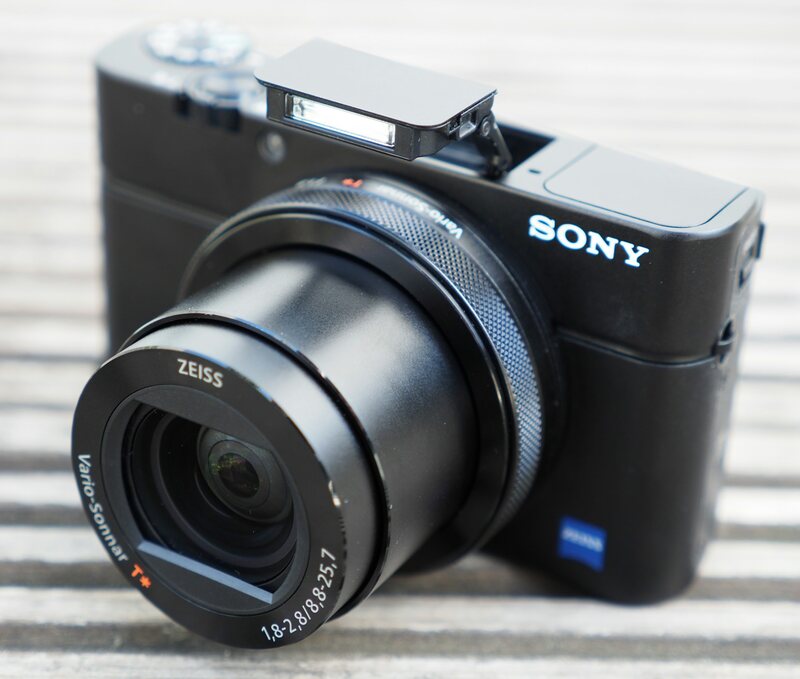 The previous versions, the Mark III, Mark II and original RX100 remain on the market, which makes them extremely good value for money in some cases. 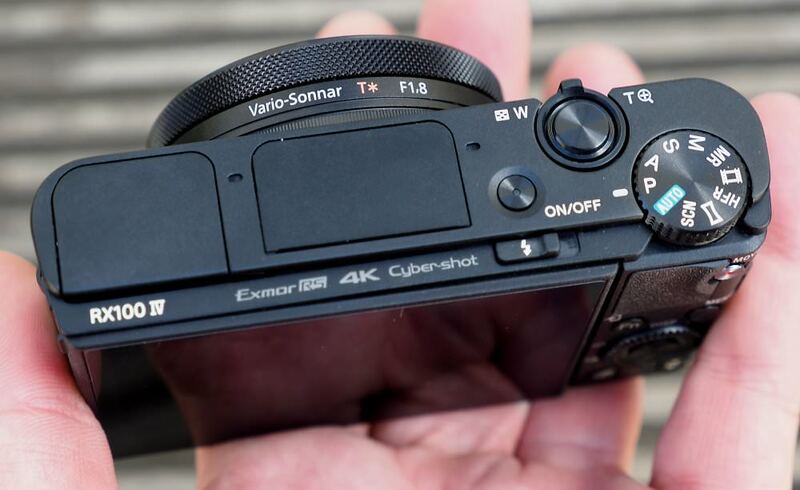 The Sony Cyber-shot RX100 IV's (DSC-RX100M4) high speed sensor is shared with the Sony Cyber-shot RX10 Mark II which we recently reviewed, enabling 4K video recording, as well as high speed video, along with a number of other benefits. 4K video recording is available at 25fps with optical zoom and stereo sound available. High speed video is available at 250fps (1824 x 1026), 500fps (1676 x 566) and 1000fps (1136 x 384), for a limited amount of time, which can be extended when shooting at a lower resolution. 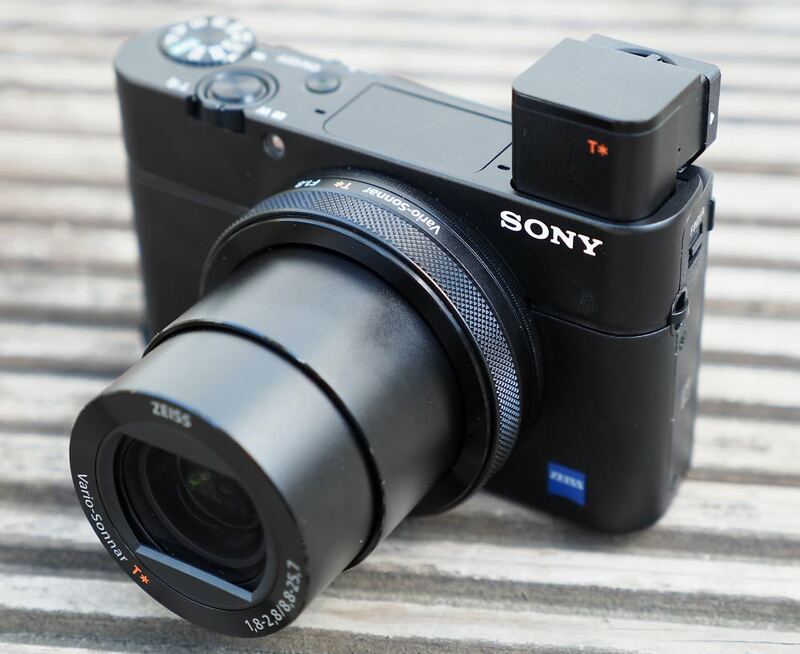 The RX100 IV features a built in pop-up electronic viewfinder (EVF), which features a 2.36million dot resolution, and Zeiss T* coating. 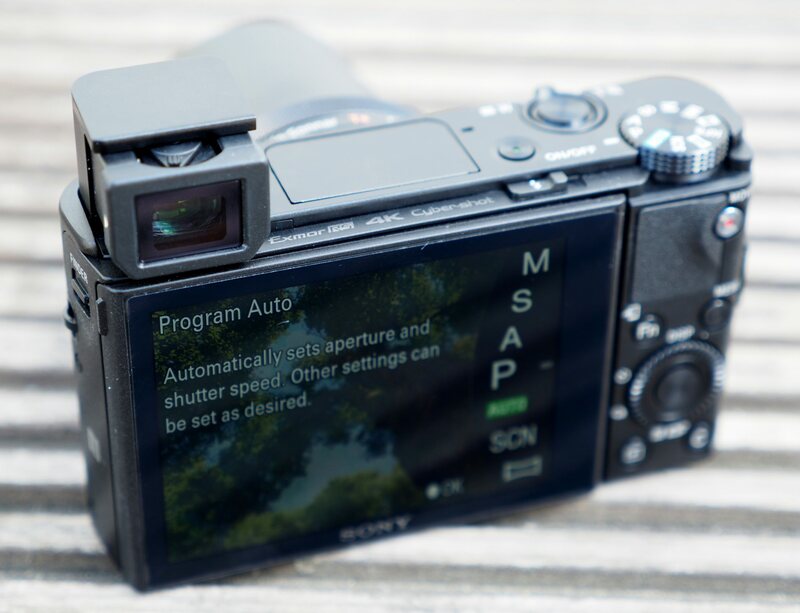 The pop-up electronic viewfinder (EVF) features dioptre correction, and can be used to switch the camera on when activated. It also features eye-detection so that it will automatically switch to the EVF from the rear screen when held up to your eye. The EVF measures 0.38inches in size, which is larger than most other compact cameras, which tend to use a 0.2inch EVF. The camera features a bright Carl Zeiss Vario-Sonnar T* f/1.8-2.8, 24-70mm equivalent zoom lens, with a close focusing distance at the telephoto end of 30cm. This is designed to enable better background blur and portrait shots in combination with the brighter f/2.8 aperture at the telelphoto end of the lens. The 3inch screen tilts forwards to enable "Selfie" shots or group shots. 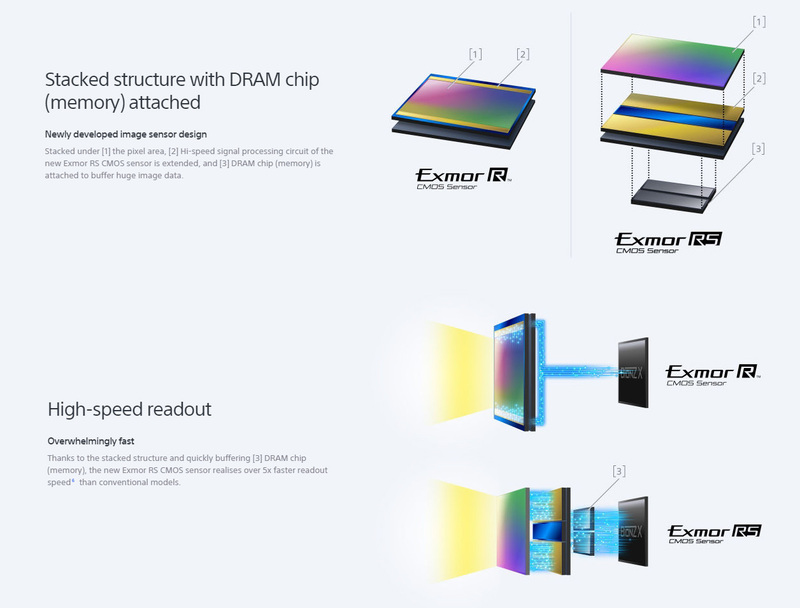 Image processing is taken care of by a BIONZ X processor as used in other Sony cameras - and offers improved detail reproduction technology, diffraction reducing technology when using smaller apertures, as well as improved area-specific noise reduction. The camera will be available with an optional leather case, and a rubber grip that attaches to the front of the camera is also an option. The RX100 IV feels well built with a compact metal body, although the lack of a grip at the front of the camera may disappoint some. One solution would be to buy the Sony leather case for the camera, or alternatively a Flipbac camera grip could be added, or you could always use the provided strap to make sure you don't accidentally drop the camera. The top of the camera features the pop-up EVF, pop-up flash (and release button), stereo microphones for video recording, on/off button, shutter release with zoom rocker, and mode dial. The mode dial has been updated to include HFR (High Frame Rate) video as an option. The lens features the same control wheel surrounding the lens as found on the previous versions, letting you adjust settings quickly. The rear of the camera features the same control layout as the previous version, with a small rubber thumb grip, and a C (Custom) button that can be set to any one of 41 controls available to give quicker access to your favourite settings. The screen tilts up 180 degrees, and can also tilt 45 degrees down, for overhead shots. Focus features include: Lock on AF - continuously tracks moving subject, Easier auto focus area settings, Eye-detection auto focus for portraits, Auto object framing, MF assist, Focus peaking, and a Zebra mode. You can also customise the size of the of the focus point, setting the size from large, medium and small. 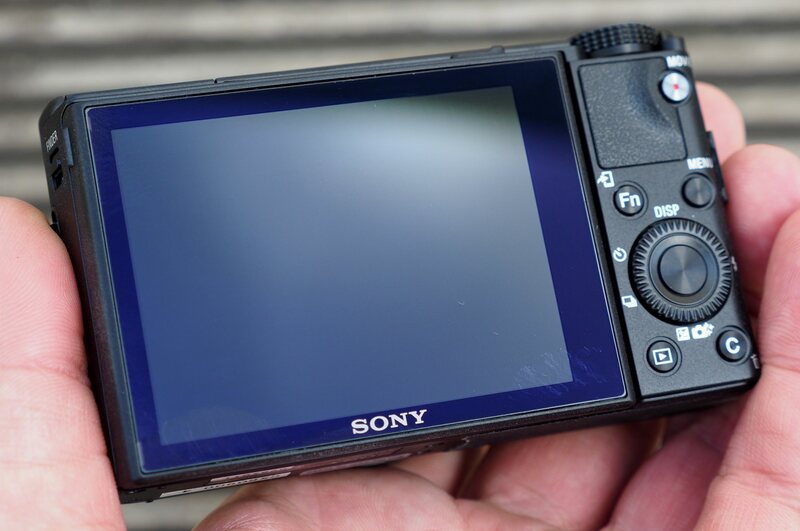 The function button brings up a rear control panel, which can also be customised with your favourite options, and the Sony menus have been standardised between the entire Sony range, so that if you have used one of the other new cameras, then you should feel at home using the RX100 IV. To release the built-in electronic viewfinder (EVF), you simply press the button on the side, and then when it has popped up, you pull the viewfinder towards you. The EVF has dioptre adjustment, as well as an eye-detection sensor. The EVF looks good with a high resolution, and is particularly useful in bright sunny conditions when it can be more difficult to view the screen. To use the Wi-Fi features with your smartphone you need to download the Sony PlayMemories Mobile app for Android or iOS. The app lets you remotely trigger the camera, control the zoom and set a self-timer, or send photos to the smartphone for sharing on social networks. You can also use NFC to setup the connection if your smartphone has NFC built in. Selecting photos can be done on the camera or the smartphone, and the app has options to set the image size transferred, from full size, 2 megapixels, and VGA. You can also use Sony PlayMemories Apps - a number are free: Picture effect+, Photo retouch, Direct upload v2 (Facebook, Flickr), whereas some are available for a fee. 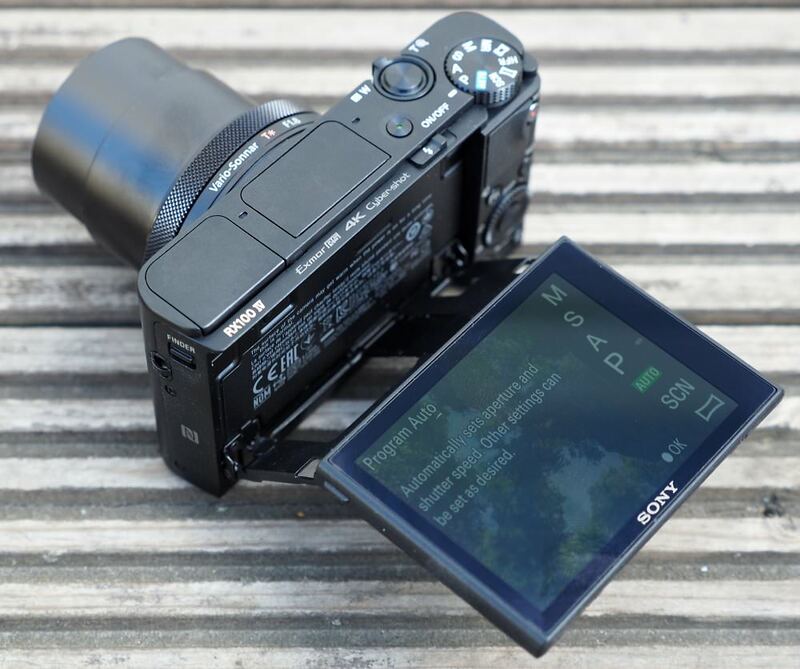 Battery life - Battery life is rated at 280 shots according to Sony / CIPA test results, which is slightly lower than the previous model, and if you shoot more or plan on using Wi-Fi a lot then we would recommend a spare battery. Certainly a desirable camera except price.Softer at the tele settings. It has over heating problem!